Calliope is a famous name from Greek mythology, for Calliope was one of the Younger Muses, the beautiful goddesses who would inspire writers, artists and artisans. Calliope the Muse of Epic Poetry, and hers was a name invoked by many writers and poets in antiquity; for they would give praise to the Muse for their ability to bring forth words of great eloquence. 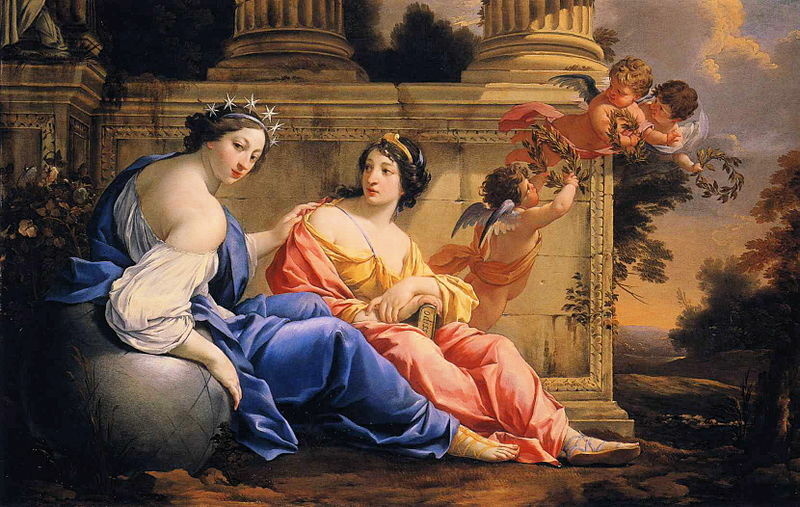 As one of the Younger Muses, Calliope is the daughter of Zeus and the Titan goddess Mnemosyne; making her sister to Clio, Erato, Euterpe, Melpomene, Terpsichore, Thalia, Polyhmnia and Ourania. 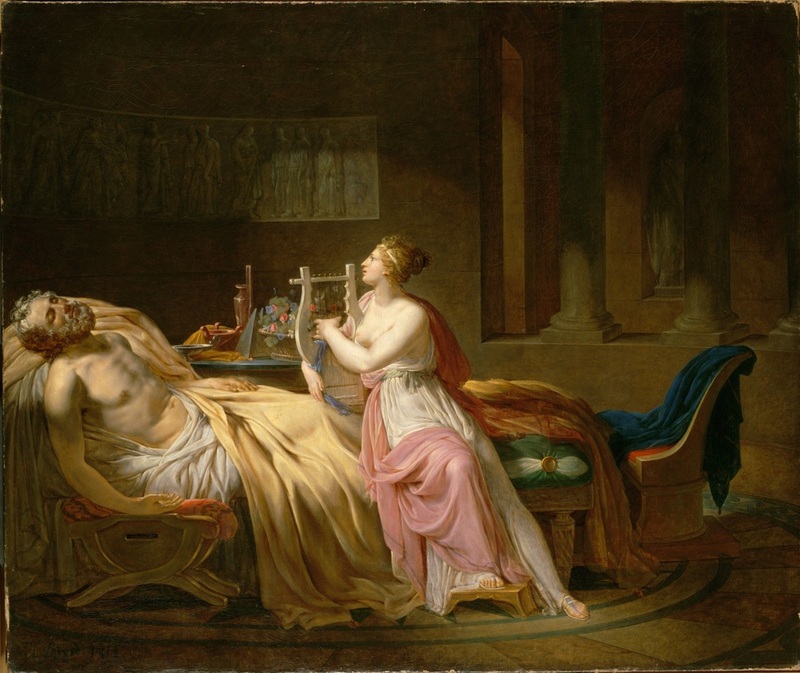 Calliope was named as the eldest of the Younger Muses, conceived on the first night that Zeus lay with Mnemosyne. Calliope was a Greek goddess of music, song and dance, and was specifically named as the Muse of Epic Poetry. 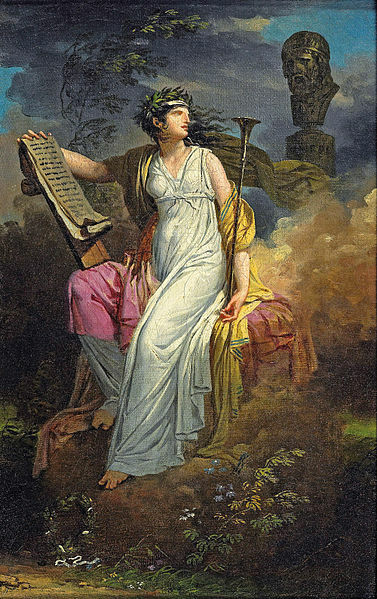 In this role, Calliope was normally depicted with a writing tablet in her hand. Calliope was also said to be the muse who bestowed the gift of eloquence about mortal kings, coming to them when they were a baby, and anointing their lips in honey. As a result of Calliope’s actions, when adults, the anointed ones would spout gracious words, and utter true judgements. Calliope was also considered to be the leader of the Muses, the wisest of the sisters, and also the most assertive. Stories from Greek mythology would tell of the marriage of Calliope to the Thracian king Oeagrus, with the wedding taking place at Pimpleia. The marriage of Calliope and Oeagrus was said to have brought forth two notable individuals Orpheus and Linus. Orpheus was the great musical hero of Greek mythology, and Linus was the inventor of rhythm and melody; alternatively the father of Orpheus and Linus is named as the Olympian god Apollo. Initially Calliope and Orpheus were said to reside at Pimpleia, but later Calliope and her son were to be found with the other Younger Muses upon Mount Parnassus. For here Apollo visited to continue the musical training of Orpheus, which had been commenced by Calliope. Calliope was rarely spoken of as an individual but she is named as present, and spoken to by Thetis, when the Muses sang their dirges during the funeral rites of Achilles. Calliope was also certainly present when the Younger Muses were victorious in their contests with the Sirens and Pierides. Indeed, Calliope was said to be the Muse who caused the Pierides to be transformed into magpies after they had had the impudence to challenge Calliope and her sisters.